So what becomes of these venerable AM signals? They’ll be a test, we suspect, of the FCC’s “AM Revitalization” initiative, which opens a window on Friday for small AM signals like WNLK and WSTC to acquire translators and move them into places like Norwalk and Stamford – if, of course, they can find open frequencies, and if someone comes along who’s up to the challenge of resurrecting local radio for an area that’s largely lost its local voice in recent years. When Cox sold WSTC/WNLK, it had also shed WSTC’s former FM partner at 96.7, now serving the New York City market as K-Love’s WKLV. WNLK’s former FM, WFOX (95.9), moved eastward to Cox’s Milford cluster, leaving a big gap for local radio between Greenwich and Bridgeport. We’ll be watching closely to see what becomes of WSTC and WNLK, which had a local staff of 11 people in their final years as a news-talk simulcast under Cox. Will they find a buyer, and translators – and will they find a local audience that still remembers what local radio can do? As for that big storm, there was plenty of coverage from big-city media, including the invaluable WCBS (880) and WINS (1010) in New York, which did their thing all weekend long while other news-talkers (including WABC and WOR) went to leased-time talk. Some smaller stations showed their colors during the storm, too: at Seton Hall University in hard-hit New Jersey, WSOU (89.5) had students on the air all weekend long with updated storm information 24/7; in central New Jersey, even WOLD-LP (107.9) was providing live storm updates. Thankfully, there’s been no word so far of any damage to broadcast facilities or to broadcasters themselves; we’re eager to hear your storm stories, too! *The weather outside is frightful…but inside, it was so delightful – at least if you were at one of the Christmas-music stations that opened up the holiday Nielsen ratings last week. After a few seasons in which stations that flipped to all-Christmas were rewarded with decent but not earth-shattering ratings, market after market posted numbers this year that were nothing short of historic. 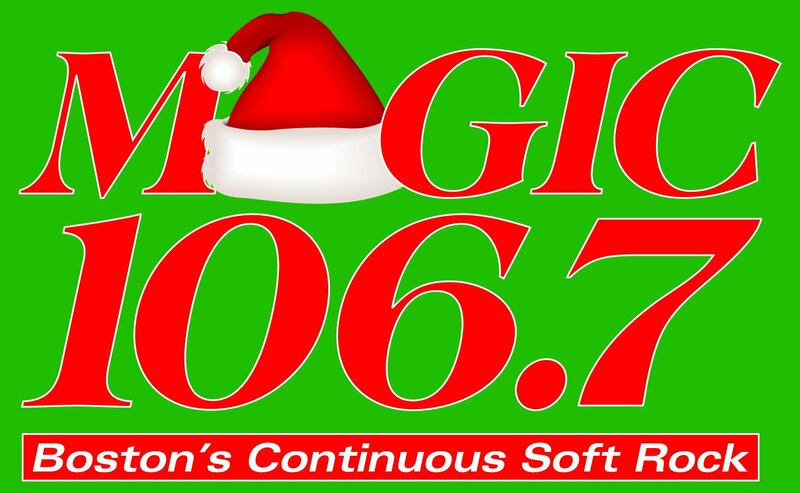 Consider: in Boston, Greater Media’s WMJX (106.7) checked in with a whopping 16.5 share in the holiday ratings period. That’s substantially better than the 11-ish range WMJX posted in 2012 and 2013. It’s triple what second-place WXKS-FM (Kiss 108) posted. And when we asked ratings guru Chris Huff when anyone else in Boston pulled numbers that high, he had to dig all the way back to the summer of 1971, when the old WHDH (850) pulled a 17.9 share in a marketplace with far less competition for listeners. *One of the most enduring fixtures on New York radio and television has died – and, really, didn’t it seem like Joe Franklin was going to be around forever? Franklin began his radio career helping Martin Block on the “Make Believe Ballroom” at WNEW, and he pioneered TV talk when “The Joe Franklin Show” made its debut on WJZ-TV (Channel 7) in 1950. But Franklin really became famous, in his quirky only-in-New-York way, when he moved to WOR-TV (Channel 9) in 1962. In more than three decades on Channel 9, Franklin’s show became a late-night fixture, mixing appearances by big stars (Bette Midler was his house singer for a while, with Barry Manilow as her accompanist) with a bizarre mixture of has-beens and never-weres, all of them treated with the same respect from a host who truly loved everything about show business. *If Joe Franklin was a remnant of a very distinctive earlier era at WOR, what, then, can we make of that once-fabled station’s current programming choices? After more than a year without a permanent morning show, the now-iHeart talker finally named a new wakeup team last week, and it’s a combination so odd it probably could have ended up on Joe Franklin’s guest sofa back in the day. Len Berman’s New York career is mainly associated with TV sports – 35 years on WCBS-TV (Channel 2) and WNBC (Channel 4) – and Todd Schnitt hasn’t had a New York career at all, having made his name in Tampa as top-40 morning man “MJ Kelli” and then as a right-wing AM talk host under his real name. Berman, 67, and Schnitt, 49, will team up for the first time this morning as WOR’s new morning show, evidently an attempt to capitalize on WOR’s Mets affiliation (by way of Berman) and to bring some younger talk voices to its airwaves at the same time. Schnitt will move from Tampa to New York for the new gig, but he’ll continue to host “The Schnitt Show” in the afternoon, heard on Tampa’s WHNZ (1250) from 3-6 PM and in syndication via iHeart’s Premiere Radio Networks. *If you check the site during the week for our occasional mid-week updates (or if you’ve signed up for our new e-mail list – it’s free! ), you already know about last week’s big news from CONNECTICUT, the rebranding of WDRC-FM (102.9 Hartford). 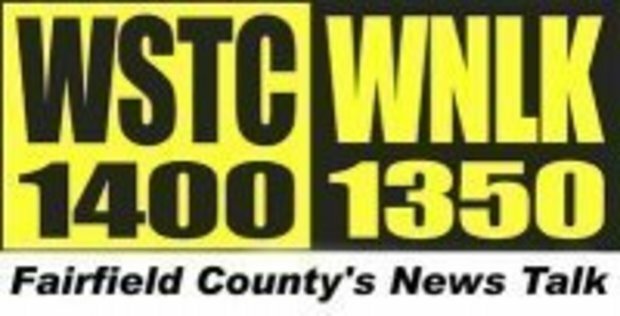 It’s now “102.9 the Whale,” going after the harder rock audience that used to tune in to WCCC-FM (106.9) – and you can read more about it in that aforementioned Mid-Week Update. In an era where most women in radio were relegated to clerical work or hosting homemaker shows, Ruth Meyer blazed a trail through the industry in NEW YORKthat few radio managers have equaled. Meyer came to New York from her hometown of Kansas City, where she started out writing copy for KCKN (1340), then fell into the orbit of top-40 pioneer Todd Storz, who hired her away to work at WHB (710). In 1958, she took on what was supposed to have been a temporary programming job at New York’s WMGM (1050), only to quit over philosophical differences – as she told author Bob Shannon in his recent book “Turn it Up!,” she believed that she understood the new top-40 format much better than WMGM’s management did. Fortunately, another Storz protege was working across town at WMCA (570), and Meyer soon ended up there as well. Her original title was “production director” – as a woman, she wasn’t considered qualified to be a program director – but Ruth Meyer was programming WMCA, and doing it superbly. The WMCA “Good Guys” were Meyer’s creation, and so was the smiley-face sweatshirt that became a New York icon for a few years in the early 1960s. For a decade, until her departure in 1968, Meyer kept WMCA fully competitive with its much more powerful competitor, WABC (770), and even today it’s not hard to find listeners who’ll gladly argue that B. Mitchel Reed and Gary Stevens and the rest of the WMCA “Good Guys” were making better radio than WABC. Meyer consulted for European stations for a few years after leaving WMCA, then returned to New York radio in 1973 to program WHN (1050); later in the decade, she also programmed WNEW (1130) and returned to WMCA, by then doing talk. Meyer also worked for NBC, helping to develop the youth-oriented “Source” network, and for ABC Radio before retiring to Kansas City, where she died Saturday morning. *It’s been almost nine years since CANADA’s first national all-sports radio network folded – but now the same signal that was the Toronto flagship of the ill-fated “Team Sports Radio” is poised to once again talk sports.It was a high-profile moment a decade ago when CHUM (1050) ditched its longtime oldies format to launch “The Team.” This time around, 1050 is all but forgotten, having been largely wasted with a simulcast of CTV’s CP24 TV news channel since the oldies were once again abandoned in 2009. But sometime in April, that will change once more, when CHUM becomes the flagship of the new TSN Radio Network. TSN, of course, is the cable sports channel owned 80% by CTV and 20% by ESPN, which licenses its “SportsCenter” (er, “SportsCentre”) brand and supplies other programming to the TV network – and which is expected to supply at least some ESPN Radio content to TSN Radio as well. There aren’t many folks alive today who were listening to the radio when the first FM stations lit up the dial in the late thirties. Many of us – your editor included – are too young to have any memory of the first regular color TV broadcasts in the mid-fifties, or of the dawn of FM stereo in the early sixties. So it’s a neat thing, we think, to have a front-row seat for the debut of another new medium. While it may not have been immediately apparent to anyone but the tiny handful of HD Radio receiver owners (most of whom are also broadcast engineers or managers, anyway), last Thursday’s coordinated announcement of new HD multicast formats from the big groups that are part of the HD Radio Alliance represented the biggest infusion of new radio formats on the dial at one time in history. NEW YORK was one of the first markets to be announced (and, indeed, already had at least one multicast going, with the CBS-FM oldies format on the HD2 channel of WCBS-FM 101.1), and the announcement effectively launched no fewer than 11 new signals on the Big Apple dial. In addition to the oldies, CBS Radio also unveiled (no surprise) “K-Rock 2” on the HD2 channel of WFNY-FM (92.3), continuing the format that’s already available as a webcast from that station’s previous incarnation as WXRK. Its third FM signal, WNEW (102.7), will carry “news,” reportedly a simulcast of WINS (1010), which has signal deficiencies in much of New Jersey. Clear Channel had its five FMs ready to go on Thursday. Perhaps the biggest news from that cluster was the return of country, on the HD2 channel of WKTU (103.5), which was the city’s last full-signal country station back in its WYNY days. WHTZ (100.3) has “new top 40,” featuring entire albums from the station’s core artists. On WAXQ (104.3), it’s “deep tracks,” complementing the classic rock on the main channel. WWPR (105.1) has “Power Espanol,” adding a Spanish-language flavor to the hip-hop that’s on the main channel. And WLTW (106.7) has “Lite Classics,” a sort of return to the softer sounds Lite played in its earlier years. Emmis launched with one FM, WQHT (97.1), which is offering “Old School Hip-Hop” on its HD2 channel. Within the next few weeks, WRKS (98.7) will add gospel on its HD2, while WQCD (101.9) will put “Chill” on its HD2 channel. From PENNSYLVANIA, there are more HD2 launches to report, though not quite as quickly as in New York. Within a few months, there will be 11 new signals on the air in Philadelphia, and they’ll break down like this: Clear Channel will turn its HD2 signals on tomorrow, with WUSL (98.9) offering “Xtreme Hip-Hop,” WIOQ (102.1) programming Hurban, WSNI (104.5) programming soft AC/standards, WDAS-FM (105.3) offering “R&B Love Songs” and WJJZ (106.1) playing AAA. CBS Radio will put alternative rock on WYSP (94.1), while WOGL (98.1) will play 70s oldies, which isn’t that different from what’s on the main channel. And Greater Media will launch its HD2 signals in the next two or three months, with “WMMaRchives” live performances and other material from the vaults on WMMR (93.3), “Club Ben,” with a varied range of rhythmic music, on WBEN-FM (95.7) and “Deep Tracks” on WMGK (102.9). Clear Channel will launch January 27, with “Xtreme Hip-Hop” on WJMN (94.5) and “Artist Channel” top 40 on WXKS-FM (107.9). Entercom’s WMKK (93.7) is carrying the “Star” rhythmic oldies format that used to be on the main channel in its WQSX days (and has lived on as a webcast ever since), while WAAF (107.3) will carry “Live Rock,” featuring concerts from rock artists. At CBS Radio, it’s all-80s on WBMX (98.5), “Lost Classics/Deep Tracks” on WZLX (100.7), “Super Oldies” (from Elvis to the Beatles) on WODS (103.3) and “Indie and Ultra New Rock” on WBCN (104.1). There’s also some HD2 content coming to Springfield, with Clear Channel launching “new top 40” on WHYN (93.1) and Americana on WPKX (97.9) on March 31. A week ago, there was no local newscast at 10 PM in Buffalo. A week from today, there will be two. One, as we’ve known for a while now, will be on channel 23. That’s the former public TV WNEQ, which is now in the process of being taken over by LIN Broadcasting’s CBS affiliate, WIVB-TV (Channel 4). At the moment, WNEQ programming consists of just a slate advertising the January 29 debut of the WIVB-produced 10 PM newscast, along with the station’s new call letters, WNLO. But while WIVB was making its plans to launch WNLO next week, one of its competitors decided there was no point waiting. We knew Gannett was working on a news alliance with Pax affiliates in its markets (NERW, 10/23/2000), but we didn’t realize it would result in a 10 PM show on WPXJ-TV (Channel 51), the Batavia-licensed Pax outlet that covers Buffalo and Rochester. That’s just what WPXJ and Gannett’s WGRZ-TV (Channel 2) decided to do, though, with the show launching last Friday (Jan. 18) on just a few hours’ notice. WGRZ anchor Victoria Hong, sportscaster Ed Kilgore and meteorologist Kevin O’Connell anchor the new broadcast. Hong is also the co-anchor at 6 and 11, though WGRZ officials say they’ll decide this week whether she’ll keep all three shifts permanently. As for WIVB and WNLO, here’s what we know so far: WIVB weekend anchor Lisa Flynn will anchor WNLO’s 10 PM news, with meteorologist Don Paul adding the 10 o’clock show to his duties. WNLO will rebroadcast WIVB’s morning “Wake Up!” show from 8-9 AM weekdays, followed by Martha Stewart. “Access Hollywood” will kick off WNLO’s evening schedule at 7, followed by “Entertainment Studios,” “Queen Latifah” and “Oprah” (a rebroadcast of the afternoon WIVB showing). After the news at 10 will come a replay of “Inside Edition,” “Three Stooges” reruns,” “Alfred Hitchcock Presents,” a repeat of the 10 PM news, and then into home shopping overnight. One big radio move this week in the Flower City: After four years at Infinity, Dave Symonds is making the trip across Chestnut Street. The former WRMM (101.3) PD joins Entercom/Rochester today (Jan. 22), serving as operations manager of all four stations (oldies WBBF AM-FM, country WBEE-FM and 80s WBZA) and as program director for WBZA. In his role as OM, Symonds replaces Fred Horton (who still hasn’t been replaced on the WBEE morning show, though we hear ‘BEE veteran Bill Coffey was back for a visit last week). In his role as “Buzz” PD, he’ll get to turn the station from a jukebox into, well, an actual station. Best of luck! It’s been all sales, all the time in MASSACHUSETTS, with the latest FCC filing late last week showing Greenfield’s WHAI (1240/98.3) passing from the Haigis family to Saga Communications. WHAI had earlier been rumored to be going to Connriver, but that deal never came to fruition. WHAI will give Saga a northern arm to its Pioneer Valley cluster, which now includes Springfield rocker WAQY (102.1), news-talk AM duo WHMP (1400 Northampton) and WHNP (1600 East Longmeadow), and active rock WLZX (99.3 Northampton). We suspect a WHMP simulcast is in the cards for AM 1240 once this deal is complete. As for the FM, it faces off against Vox’s WRSI and WPVQ, which are just a week or so away from their big frequency swap. We can tell you much more about two of the deals that broke just in time for last week’s issue. Mark down $11 million as the price Salem is paying for Carter Broadcasting’s WROL (950 Boston)…and we’ll call it a nice reward for the quarter-century or so that Ken Carberry and family have tended the 5 kW (90 watts after dark) signal from the Saugus marshlands. (And indeed, we hear the senior Carberry is taking a well-deserved Florida vacation!) Carter keeps WCRN (830 Worcester) with its new big signal and swing format, as well as WRIB (1220 Providence) and WACE (730 Chicopee), at least for now. Clear Channel, meanwhile, is paying $10 million for Framingham’s WKOX (1200), though Mays & Co. will no doubt be spending a bit more to build out the station’s CP to go to 50 kW from the WUNR site in Newton, not to mention the cost of fighting community opposition to the construction of new towers in that very residential area. LATE UPDATE: Just hours after this week’s NERW was posted to fybush.com Sunday night, CHUM announced that there will indeed be a switch to sports in a few months — and not just at 1050 CHUM. The CHUM Group will flip most of its AM properties to the new “Team” sports network, including CKLC (1380) in Kingston (where several staffers were laid off this week), CKPT (1420) in Peterborough, and more.